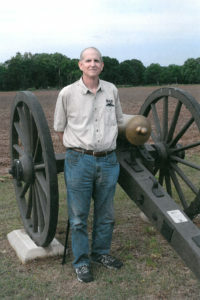 The Friends of Raymond, led by historian Parker Hills, have preserved a significant percentage of the 1863 battlefield, and, with key sites now owned or with preservation easements, embarked on a multi-year project to place some 25 pieces of display artillery on the site. 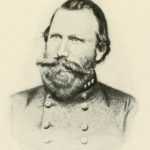 Their goal was to be the first significant battlefield in the country to have one restored cannon for every actual cannon that was present during the May 12, 1863 battle, on its exact location. 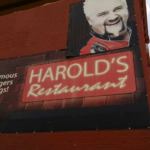 The hook? To create identical pieces to match the types that were there. The key to success was to acquire carriages that had been removed from the NPS inventory at Vicksburg—the cast iron carriages were received broken into pieces where they were turned over to an iron worker who repair them. Reproduction barrels were locally sourced and constructed. 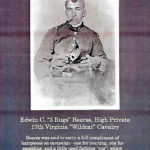 BGES played the major role with members sponsoring more than half of the guns which now proudly bear the names of BGES sponsors and the BGES logo. 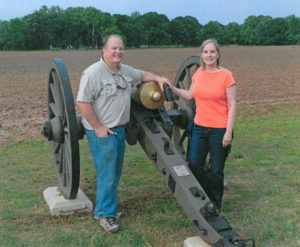 BGES Treasurer David Dubose with his and Trisha’s cannon. 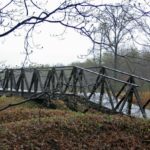 More than 100 BGES members donated nearly $40,000 between 2011 and 2012 to complete this project. 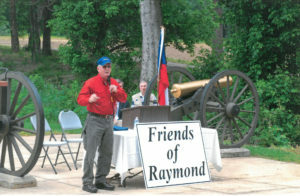 BGES is the largest single donor to the Friends of Raymond, and we were recently recognized on their park sponsors monument as a “Raymond General.” A dedication ceremony was held and the Union artillery line is frequently photographed and was featured in the National Geographic’s 2016 book The Civil War, A Travelers Guide.